Reduction in the average number of hospital admissions. Reduction in bed days, admissions and costs. Decrease in Emergency Department use by CHF, COPD and Diabetic patients. PCMH studies continue to demonstrate impressive improvements across a broad range of categories. The mTeleHealth Remote Health Monitoring System Powered by Ideal Life® provides a complete solution to remotely collect, store and report timely and accurate health information anywhere. 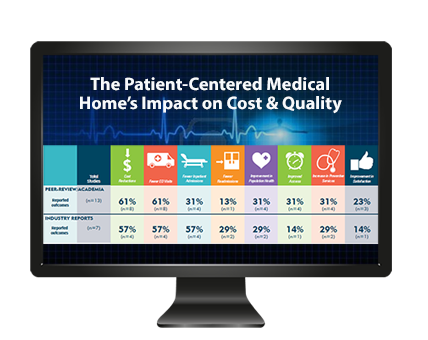 The benefits of home health monitoring have been demonstrated with first generation telehealth systems, now wireless mHealth solutions can extend these benefits to a larger patient population than previously practical. Ideal Life’s embedded M2M technology allows us to provide a highly adoptable, maintainable and flexible solution to our customers in the field. Transmits readings from retail health monitors to Electronic Health Records automatically. Effectively connects patients with chronic conditions with their care providers and family. Providers / Healthcare Organizations benefit from using the mTelehealth Solution Powered by Ideal Life® with their patients and home healthcare. Suppliers of Medical Devices and Remote Patient Monitoring Systems integrate with the mTelehealth Solution Powered by Ideal Life® to extend their platforms. Ideal Life® has gone through the rigorous task of building its Quality Management System (QMS) and has received 2 FDA Clearances: K062377 (Glucose) and K083862 (HealthPAL, Scale, Blood Pressure and Pulse Oximeter). This is one of their proudest achievements: Being FDA Cleared. They have taken the time and made the financial and resource commitment to make sure that they are in compliance with all applicable laws, and have patient safety, privacy and well being at the forefront of their minds at all times. Ideal Life® is now in the process of preparing its 3rd FDA submission that contributes additional functionality including: Peak Flow, Pedometer, PT/INR, HealthHUB (Docking Stations) and more. Ideal Life® is now Health Canada cleared. Ideal Life® has received its ISO 13485:2003, ISO 9001:2008, and CE Mark issued by Underwriters Laboratories (UL). The completion of this multi-year project will enable Ideal Life® to distribute throughout Europe, and the ISO 13485 needed for Health Canada. The mTelehealth Solution Powered by Ideal Life® is completely mobile and not required to be tethered to a “point of care” location. This portability allows more patients to be monitored in a very effective manner and helps increase compliance. Patients can take it with them wherever they need to be: at work, on the road, or in their homes. Furthermore, it provides trusted independence for senior family members who can be looked after from a distance, diabetic children who can be monitored while at school, or any other individual who needs just a touch of guided care. Clearly, the mTelehealth Solution Powered by Ideal Life® is highly adaptable in order to fit a variety of lifestyles. Clients using the mTelehealth Solution Powered by Ideal Life® have reported a significant Return on Investment (ROI) through increased patient compliance, lowering costs by keeping patients out of costlier disease states. Clients can realize cost savings not only with the top tier healthcare spenders, but by being proactive rather than reactive with a larger patient population. One of the greatest values of the mTelehealth Solution Powered by Ideal Life® is the ability to integrate with off-the-shelf medical monitors like those commonly found in retail pharmacies. The strength of this value proposition lies in the fact that patients are more likely to use devices that they may already own and are familiar with. One of the strongest features of the mTelehealth Solution Powered by Ideal Life® is its ease of use. It is very simple to setup the HealthPAL Mobile and Home Health Monitoring Device and use it right out of the box. After charging the unit, users can have readings transmitted to their health record in minutes – there are no drivers to download or software to install. Ideal Life®’ HealthPAL and HealthHUB Smart Dock have the ability to update firmware over the air in order to save on expensive costly home visits by care providers and technicians. This cost savings in system deployment and maintenance represents a significant ROI. Although technology is everywhere, from laptop computers to smart phones, the fact remains that the groups accounting for the largest share of healthcare costs, such as senior and impoverished populations may not even have access to technology. Ideal Life®’ HealthPAL is dedicated to transmitting health information only, this personal health device is less likely to be misused or abused in ways that are typically associated with cell phone and computer options for health monitoring. The mTelehealth Solution Powered by Ideal Life® is a highly-advanced, well engineered solution that is very ease to use. Ideal Life® has taken care to engineer a device that is adaptable and adoptable by users who may or may not be comfortable with technology. HealthPAL functionality is completely automated, working in the background with no buttons to push or menus to navigate in order to transmit readings. The mTelehealth Solution Powered by Ideal Life® sends data seamlessly into common online medical records services like Microsoft HealthVault, Google Health, and Health Link personal health records (PHRs) as well as enterprise level Electronic Health Records (EHR). The flexible, open architecture allows Ideal Life® to constantly add new EHR systems to the integration capabilities. Ideal Life®’ HealthCOM, is a web-based application / portal that allows healthcare providers to monitor and review HealthPAL user readings, establish patient thresholds, trigger automated calls, and generate reports in various file formats. These valuable tools can represent a considerable return on investment as a supplement / enhancement to a care management program. HealthPAL enables compatible medical monitors to “speak” readings to the user and issue reminders – regardless of which device is connected. HealthPAL’s speech feature brings added value for users who may be sight impaired and the adjustable volume can be completely turned off if desired. HealthPAL will have the ability to remotely download new voice files “over the air” for multi-lingual capability. In the future, Ideal Life® will be adding additional functionality to the HealthPAL including, Medication reminders, bi-directional survey questions (recorded back to the server), PERS functionality and CDMA technology. The open platform can allow Ideal Life® to add wireless transceivers to communicate with implantable devices. Large storage capacity internal SD card and the ability to include 2G or Broadband telecom capability, gives HealthPAL the versatility to be used as an event monitor (e.g. cardiac event monitoring) with a transition to daily collection of bio-metric patient data. Our ability to configure “Kits” tailored to monitor chronic disease such as diabetes, hypertension, heart failure, etc., allows us to ship directly to the patient. Thus, it eliminates the need for our clients to take and manage inventory. This flexibility combined with our simple set-up / use, and integration with online EHRs makes patient fulfillment extremely easy. Our industry leading professional services provide seamless data integration of real-time patient data with enhanced analytics that assist in a more comprehensive approach to more effectively and efficiently manage patients while in the community. The IDEAL Pod is an innovative communication gateway that supports the wireless acquisition of medical device data, transmitting it to the secure IDEAL Cloud. With an intuitive user interface, bi-directional communication and direct feedback on device displays we create an opportunity for that teachable moment to further engage patients in their own healthcare.